For humid summer days, this cool smoothie bowl is the perfect start. Blend 1/2 cup frozen blueberries, 4 regular sized cubes frozen Little Island coconut milk, and a few slices frozen banana till smooth. 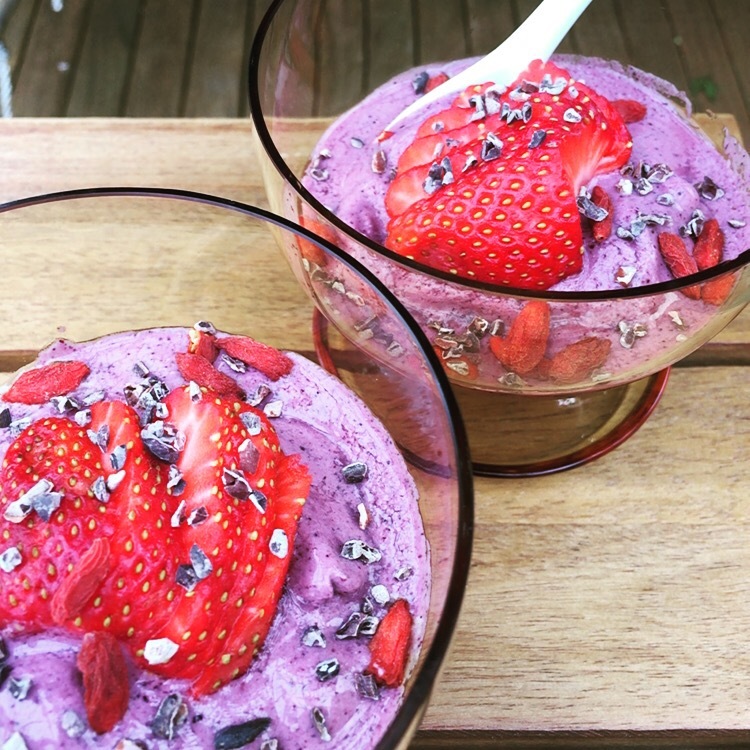 Spoon into two bowls and top with fanned strawberry, goji berries and cacao nibs. In South Australia last year I picked up this yummy Merlot from Harvest, a co-op wine label that takes perfectly good grapes that might otherwise go to waste (it’s been a tough climate for growers for years) and splits profits with the growers. Win-win. If you’re ever in Adelaide it’s well worth spending time mooching around the beautiful Adelaide Hills, home to the region’s classy cooler climate wines.